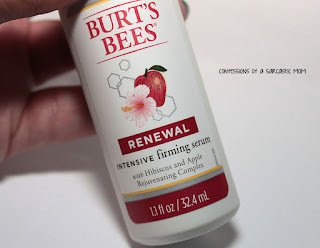 Skincare is something that I've been dabbling in for a while now, and I've been trying out all kinds of new things. Ya know, I'm not getting any younger, and while my skin is still in pretty decent shape, it won't be if I neglect it. 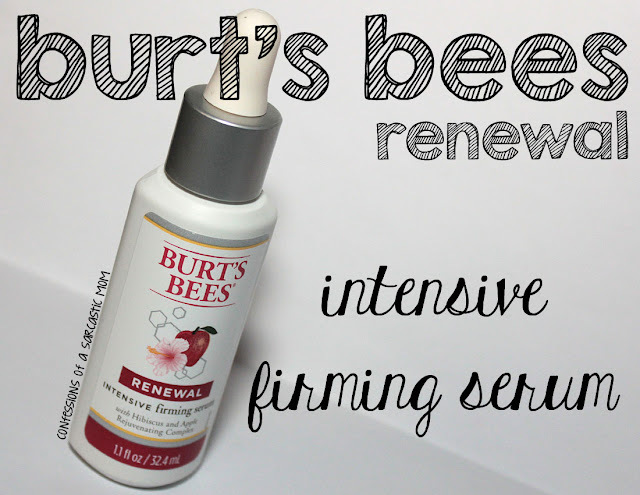 I decided to give this Burt's Bee's Renewal Intensive Firming Serum a try. What did I think of it? I used this in my nighttime routine. The scent is a little strong, but I powered through to use it. 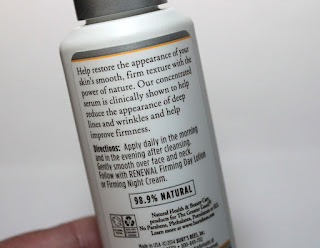 In all honesty, I really didn't see or feel a difference in my skin after using this for 2 months. Maybe it's because my skin just wasn't ready for this treatment, or perhaps my skin wasn't its "target audience." It was easy to apply, and it soaked in really well, however. So that was good! The serum is milky in appearance, but it doesn't stay that way. 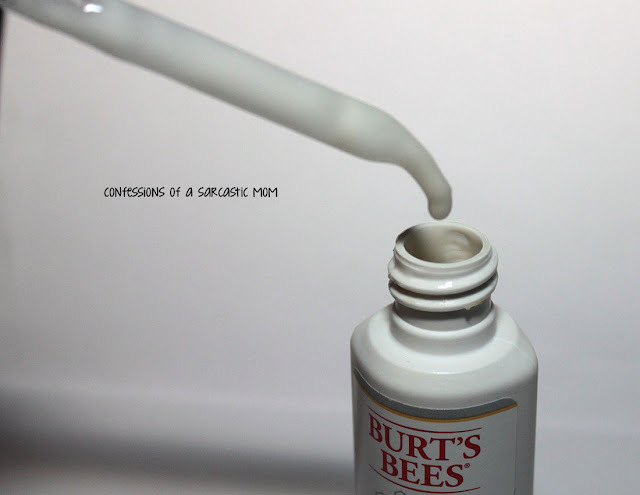 Once it's applied and smoothed in, it completely melts in and doesn't leave behind any residue. 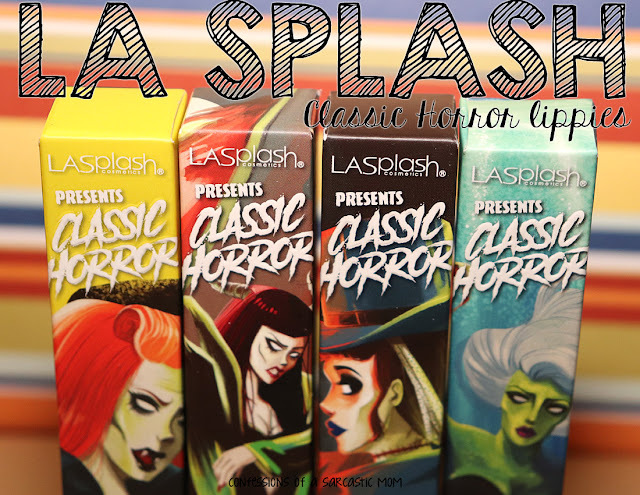 I would put this on, as I mentioned, as part of my nighttime routine. So I can't attest to how it lasts during the wear and tear of the day. Have you tried this? I'm not sad that I tried it, at least I can know it didn't work for me. Or well, maybe it worked just fine, but it didn't work as well as anything else I'd used before. I purchased mine at Ulta, but it's also available at Amazon, CVS and Walgreens, as well as the Burt's Bees website. Price varies by seller, anywhere between $13.99 and $20.